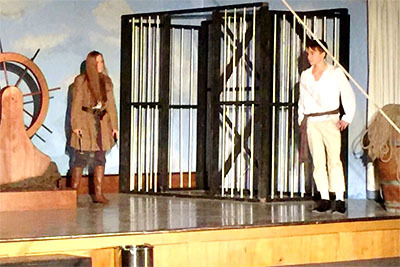 The Charter University Prep Drama Department is excited to present the timeless story Treasure Island, adapted by Ken Ludwig from Robert Louis Stevenson’s classic novel. We invite you to support our students by attending performances Thursday and Friday, December 8 and 9 at 7 p.m., or a special matinee on Saturday, December 10 at 5 p.m. Performances will take place in the gym at the Charles Brown Campus, 6520 Oak Dell Road, El Dorado, CA 95623. Admission is $5 for adults and $3 for students; children under 12 are free. Bring the whole family for this fun theatrical production! For more information about Charter University Prep.